Mission Statement: To provide collectors around the world with the products they desire while creating a new standard in quality and service. 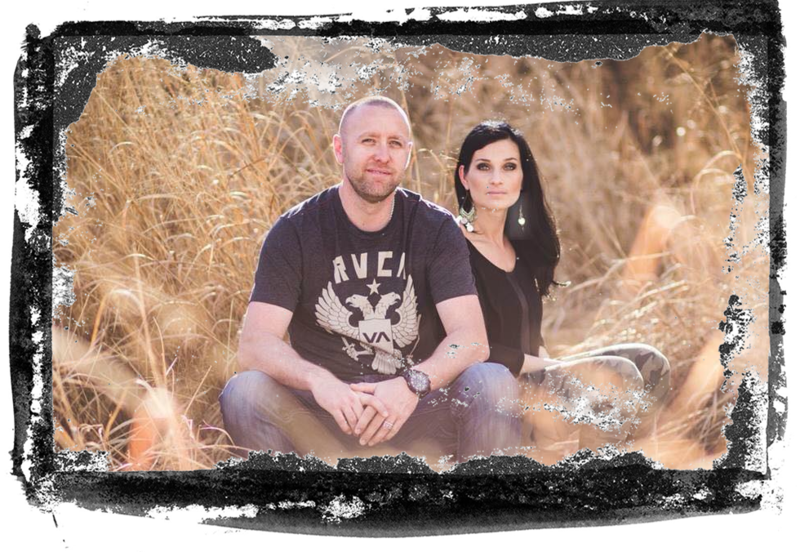 Who we are: After 15 years of working for a family business and owning another business on the side, my wife and I got an unexpected surprise that she was going to be having a baby. In the summer of 2010 our son was born, and that is where this story begins. Life carried on for the next two years with some changes, but nothing that wasn't expected. Then my son discovered Transformers for the first time when scrolling through Netflix on his iPad. He was instantly engaged in a way we had not seen from him before, and being a fan of Transformers that I was from my childhood, I couldn't help but smile on the inside to know that my son and I could share this bond from that point on. As a few months passed and I had collected a few toys for him from the Prime series he loved to watch, I began to recount how much I loved these toys as well, and started researching the different lines and all the changes that had taken place since the G1 origins. 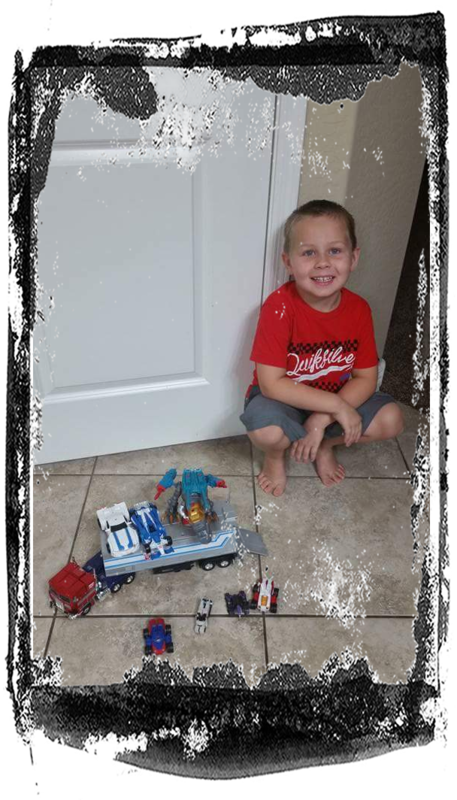 As my son learned the names of all the characters from each series he watched, or each toy we brought home for him, I was learning right along side him while my entrepreneurial side was working overtime deciding if a business model could be created from this passion we shared. After a few weeks of deliberating, we decided to give it a shot, and The Chosen Prime was born, with the notion to bring customers a level of service and quality that can only be rivaled by our personal connection to each of our customers. What we represent: Going back to my days growing up in a family business, I have always been taught to always remain fair and honest, and good things will come to you in time. That thought process, combined with my passion for pleasing customers when they open their packages, allows us to take the extra steps to make sure you receive your packages quickly and safely. Each order is processed with the mindset that we are shipping to ourselves and each item is treated with the utmost care, and considering from the time they are delivered to us, to the time they are wrapped up for shipment to you. We feel each order is more than a number, but rather a personal connection that we share with each collector we ship a product to, and that will show each and every time a package leaves our facility. Our Name: As we began thinking of name for our company we felt as if the name needed to embody all that we believe and strive for as a company, and still have relative meaning to collectors and fans. My intimidate thoughts were of character from my childhood who I have always had a special remembrance because of his likeness in character to my own father. Noble, Brave, Selfless, and always out for the Greater Good. Optimus Prime represents all that we strive to be as a company, and having grown up in a family business run by someone who has practiced those same techniques for the last 30 years, it seemed there was only one choice for a basis for name; Prime. Once that very easy decision was made, we had to decide how to incorporate Prime and what the name symbolizes into a business identity that were both marketable and representative. After we wrote down several options over the course of several days, one came to me that seemed to encompass everything we want to represent as a company and as human beings. 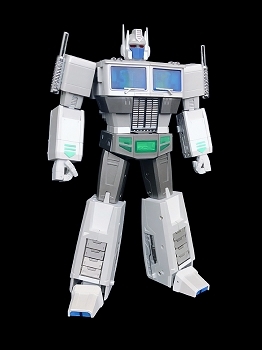 The Chosen Prime, much like a young "Hot Rod" in the 1986 Transformers Movie, could rise from the ranks and raise the standard in service and customer relationships. After bouncing the name off my wife and her immediate response of "I like that one! 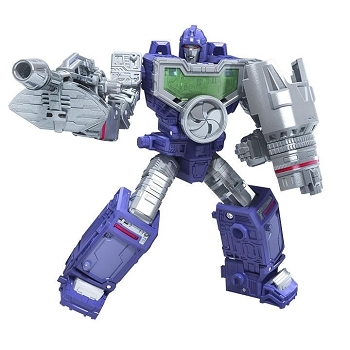 ", it was decided, and thus THE CHOSEN PRIME was born! 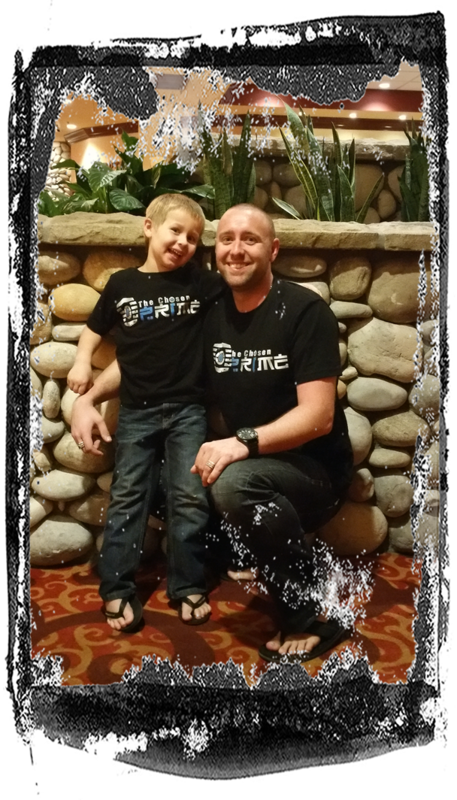 The Chosen Prime Family: Where ever we go, we always meet wonderful new people that share our passion for Transformers. 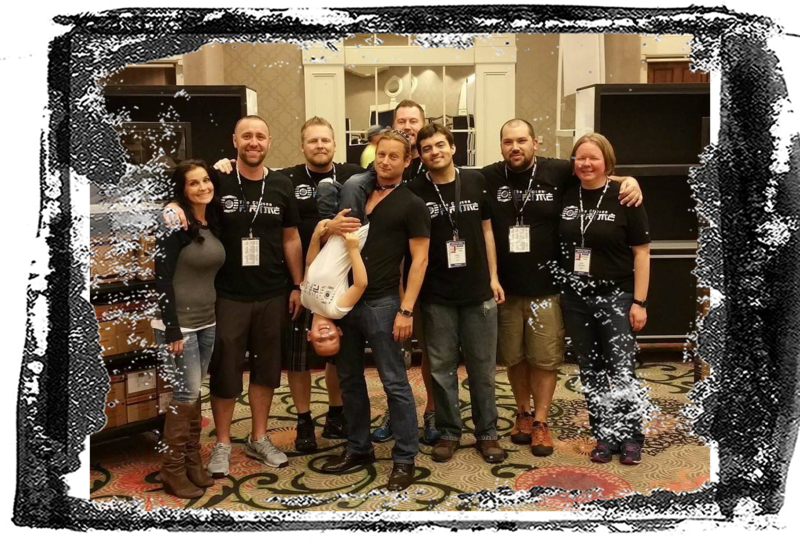 Over the years we have encountered many of our customers at conventions across the country and in doing so, we have made some great friends and bonds that will last a lifetime. 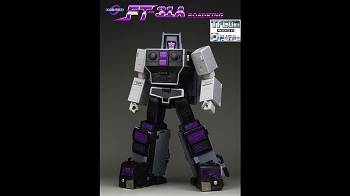 From our first Botcon in Southern California to our annual trips North of the border, we look forward to seeing familiar faces and be greeted by new ones each time we touch down for a convention. We thank each and every one of you for coming out to see us, you make it all worth the work that goes into setting up for a show. Come Meet Us: If you have not already, come out and see us at the next convention. We love to meet new people and put faces with names. You can always visit our Events Calendar to see what is coming up and where you can find us next. We also want to thank all the volunteers than come spend their time with us at the conventions. There is a tremendous amount of work involved in setting up for a show the way that we do and it wouldn't be possible without all of the helping hands we receive at each show. Some are staples and some come and go, but none are forgotten as give thanks to each of you for all that you do!